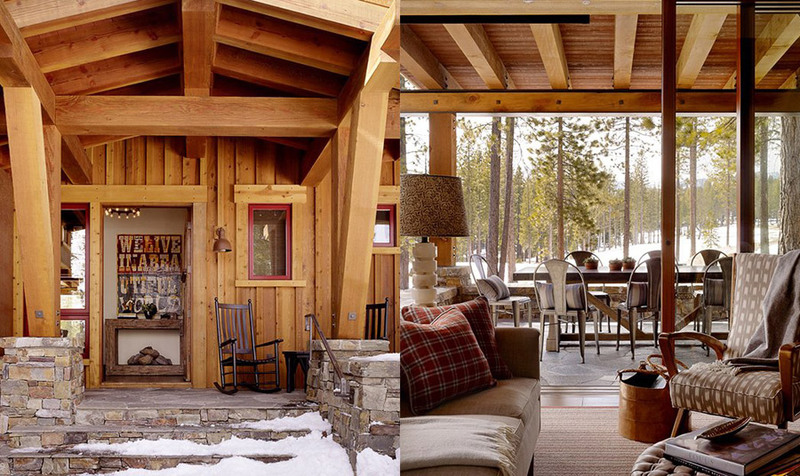 A small cabin in Truckee, California. Photos by Matthew Millman. Designed by Jeffers Design Group. Gorgeous cabin with amazing views, however, it doesn’t look very small. How many square feet? Again with the giant houses! Do you have an upper limit on square footage for a house to be featured here, or are you just advertising for whatever architects and builders decide to post here? If it’s over 1000 square feet, it’s not a small house. 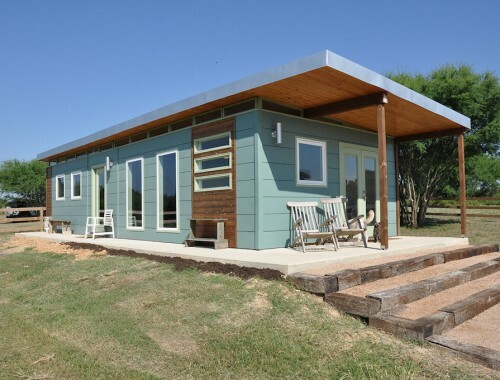 750 square feet or less would represent a true small house. 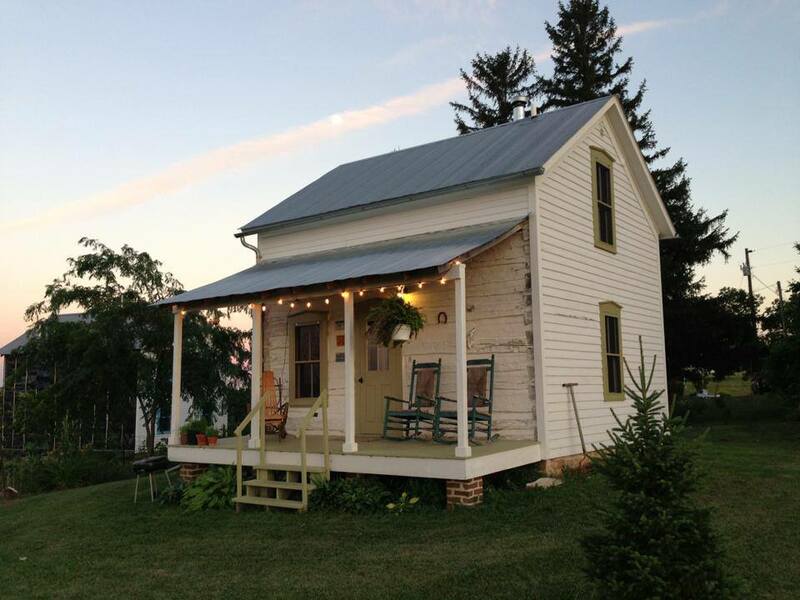 I’m curious; what, from these photographs, leads you to believe this is a “giant” house over 1000 square feet? I second that Robert. I live in a house that is 1000 square feet and even though it is small, 1000 sq. ft. is not part of the small house movement. I love this place. 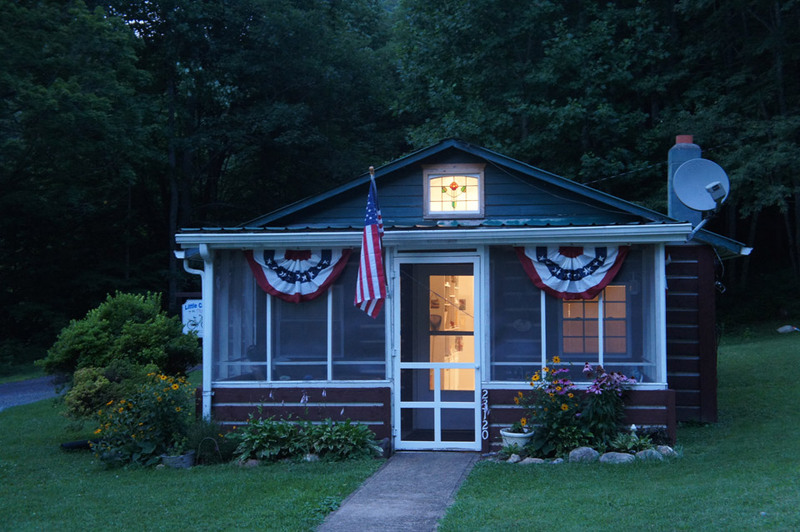 I still think 1000 sq ft can safely be called a small house – not tiny, but small. I do wish this site would always post the square footage. I hate to be all “you Americans”, because it’s the Aussies as well, but in no way can this be called a “small house”. This home is 3,250 sq ft, why is it on here? Yours for the modest sum of $3,5 million! Wow beautiful in a very peaceful environment. I love it really wanna to go out there and spend my holidays out there. 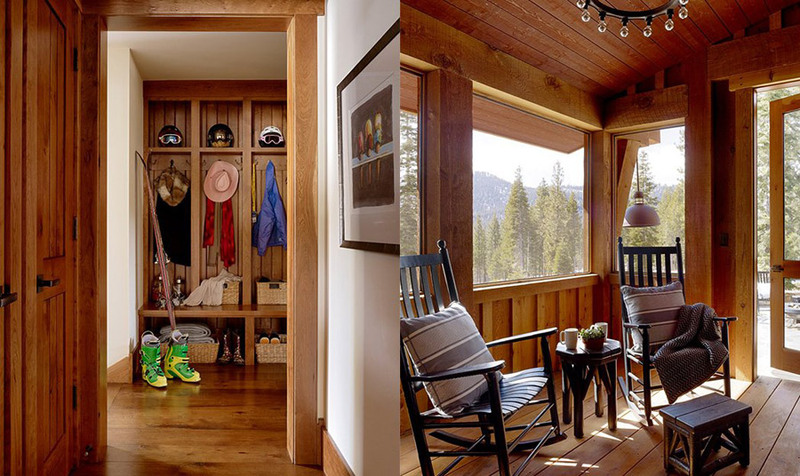 Please submit ones such as this cabin to them and focus on TINY DWELLINGS here, for us please. Weeellll..I was oooh’ing and ahhhh’ing, looking at the pics of this house, thinking thats probably one of the prettiest houses I have ever seen, till I scrolled down to the comments…. Then, lo and behold, in typical internet fashion, here is a snarling, smart mouthed, jackass that thinks they have a “right” to complain about what someone posts on their website?? Does anyone else get sick of this kind of thing???? I don’t care how many square feet it is…I want it!! Love the kitchen in this house! I get irked by the obnoxious tiny house cultists who insist that everyone else must rigidly subscribe to their fundamentalist interpretations of “allowable” size as much as the next person, but yah, even I’d say it’s stretching the concept to call a $3.5 million house with 3250 interior sf & 897 exterior plus a 740 sf garage a small house. Nonetheless, the front elevation as its pictured here could inspire some very snazzy styling for a small house. Just don’t look at the expansive side elevation & ignore the generous floor plan, both depicted elsewhere online. 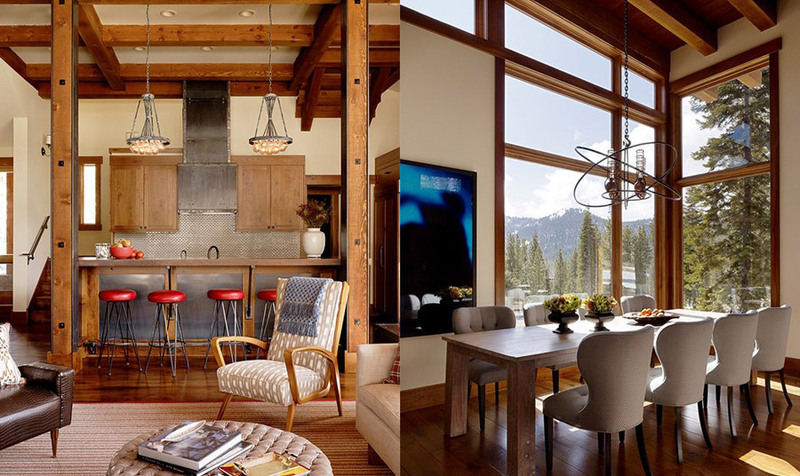 There are design lessons for all of us everywhere & it’s a big mistake for tiny/downsizing enthusiasts to ignore opportunities for gleaning inspiration from any buildings that don’t meet the exacting specs for their ideal footprint. 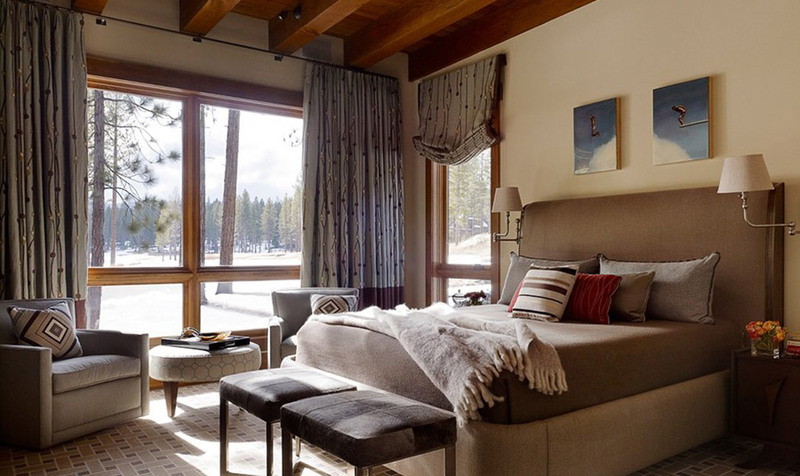 Plus, given the behemothic proportions that some of the more typically extravagant “cabins” can reach at Martis Camp, the post & beam beauty posted here is actually rather modest, so in that sense it *is* small. 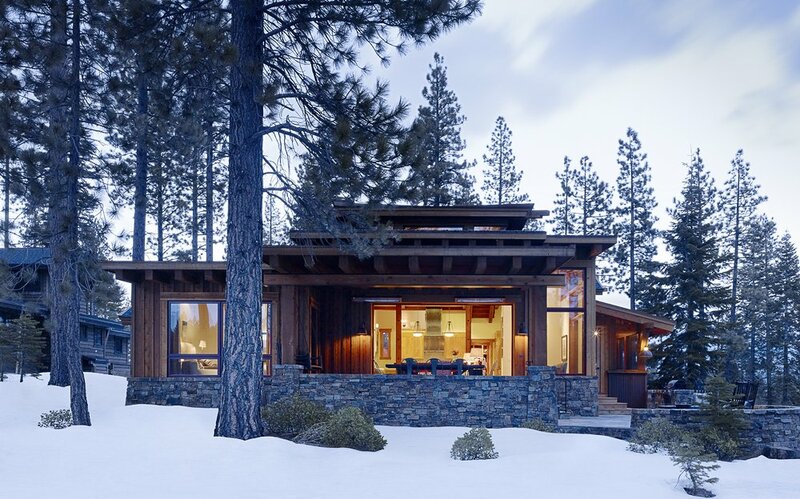 Everything’s relative, and this mountain home is so nicely executed (architecture by Walton A+E in Tahoe City CA, btw) we can appreciate its thoughtful restraint within its chi-chi context.